The European Union has always attracted migrants, due to the colonial past of many EU member states and since, after the Second World War, it has always been conceived, and depicted itself, as the house of democratic values against totalitarianism. 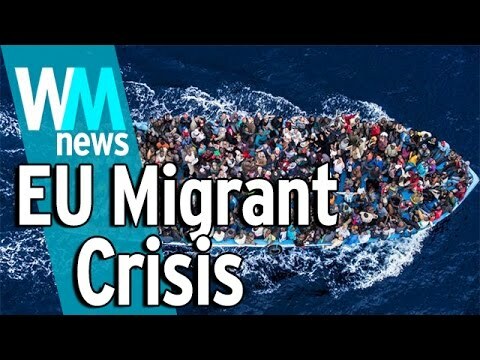 Although the asylum seekers’ reception is not new to the EU (with peaks in 1992, 2001, 2006 and 2012), the current number of asylum seekers has risen to an unprecedented proportion and has caused the so call EU migrant crisis - explained here in 90 seconds - which is showing the weaknesses of Europe to act as a real "Union" of countries. In the Arab Mediterranean countries (AMC), labour emigration has been a structural feature of the economies since the 1960s. However, something has changed in the last 5 years, since many Arab and Mediterranean countries have been undergoing significant political, economic and social transitions resulted in increased immigration and migration flows and the inability of Countries to face such changes. Young migrants constitute a relatively large proportion of the overall migrant population and have a significant impact on origin, transit and destination countries and communities. In many Mediterranean countries, they reflect a very high proportion of the population. According to the latest United Nations estimates, there are 232 million international migrants worldwide, representing 3.2 per cent of the world’s total population of 7.2 billion (United Nations, 2013a). There are 35 million international migrants under the age of 20, up from 31 million in 2000, and another 40 million between the ages of 20 and 29. Together, they account for more than 30 per cent of all migrants. Females account for approximately half of the international migrant population. According to the World Bank, 3 million Moroccans live outside their countries. Morocco itself was the largest and fastest-growing sender of migrants to OECD countries, with 62 percent increase of emigrants in 10 years. Although over the second half of the 20th century, Morocco has evolved into one of the world's leading emigration countries, with the global Moroccan diaspora estimated at around 4 million, recently, over the past decade, changing migration patterns have set the stage for potentially far-reaching changes to the economy, demographics, and legal system of this North African country. Although Morocco remains primarily a country of emigration, it is also becoming a destination for migrants and refugees from sub-Saharan Africa and, to some extent, from crisis-hit European countries. The growing presence of immigrants confronts Moroccan society with an entirely new set of social and legal issues typical for immigration countries, which do not yet resonate with Morocco’s self-image as an emigration country. Beyond the willingness of Morocco to further implement new reforms and laws to protect the rights of human beings, either they are citizens, foreigners, or in transit, Morocco is a country where the mixture of cultures has always been the essence of the multidisciplinary platform that we find today within the Moroccan society. The King Mohamed VI, who represents the supreme power, drives the country towards a democracy that worth respect and admiration. Following this conduct of human rights and regulation laws, other laws have been discussed and were born and implemented. In terms of human traffic and dignity, Morocco has elaborated a law that responds to the international conformity and principals, which aims to protect the victims and to inflict disciplinary measurements for traffickers. Morocco is currently working on the development of laws on which to base the new immigration and asylum policy. Three new laws are about to be adopted: against trafficking in persons, one on asylum, another one on the entry and the stay of foreigners. You can find further information, on the Country Report drafted by Wassime Ida that you can read and download here. To join our community, just follow these simple steps!